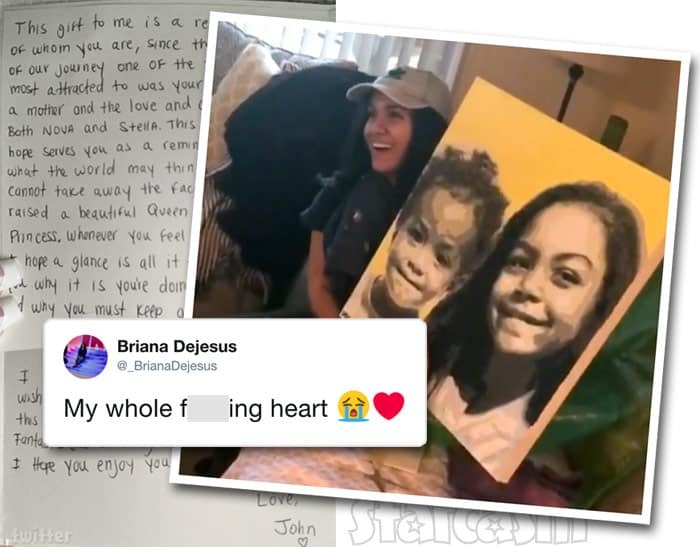 Teen Mom 2 star Briana DeJesus has had more than her fair share of bad relationships, but it seems she might have found a real keeper with her new boyfriend John Rodriguez! 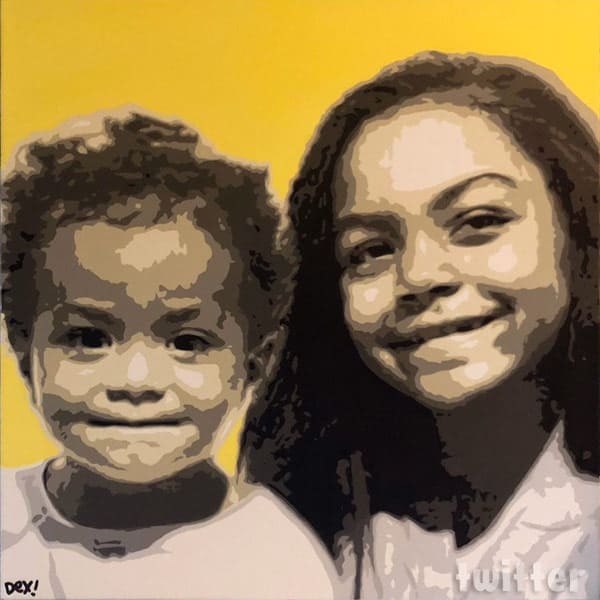 The dapper post office worker from New York surprised Briana this weekend with a commissioned portrait of her daughter Stella and Nova, and he also wrote her a note that would make most any single mom’s ring finger a little itchy. This gift to me is a representation of whom you are, since the very beginning of our journey one of the things I was most attracted to was your ability to be a mother and the love and care you showed both Nova and Stella. This here gift I hope serves you as a reminder that despite what the world may think of you, they cannot take away the fact that you have raised a beautiful Queen and oh so pretty Princess. Whenever you feel down or in a funk I hope a glance is all it takes to remind you why it is you’re doing all you’ve done and why you must keep going. 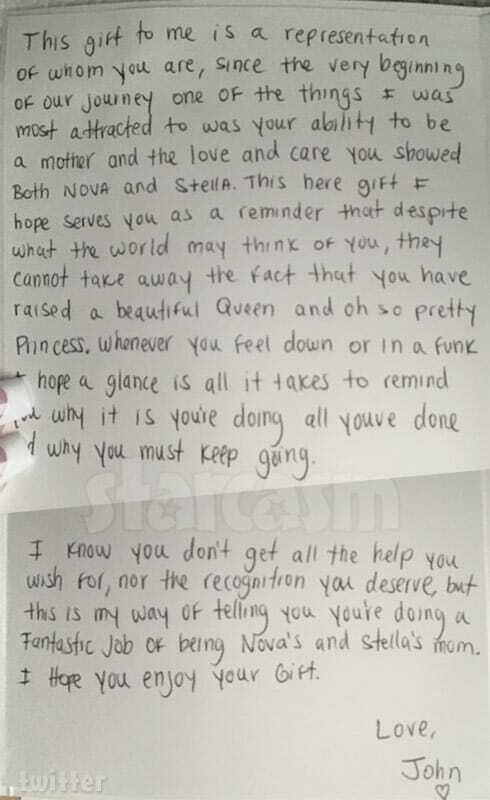 I know you don’t get all the help you wish for, nor the recognition you deserve, but this is my way of telling you you’re doing a fantastic job of being Nova’s and Stella’s mom. I hope you enjoy your gift. Judging from the Season 9 preview trailer, we will all be able to meet John on the show this season, so be sure to tune in for new episodes of Teen Mom 2 airing Monday nights at 9/8c on MT! Does Jenelle Evans’ mom Barbara Evans have a drinking problem?